The CX-season is here. 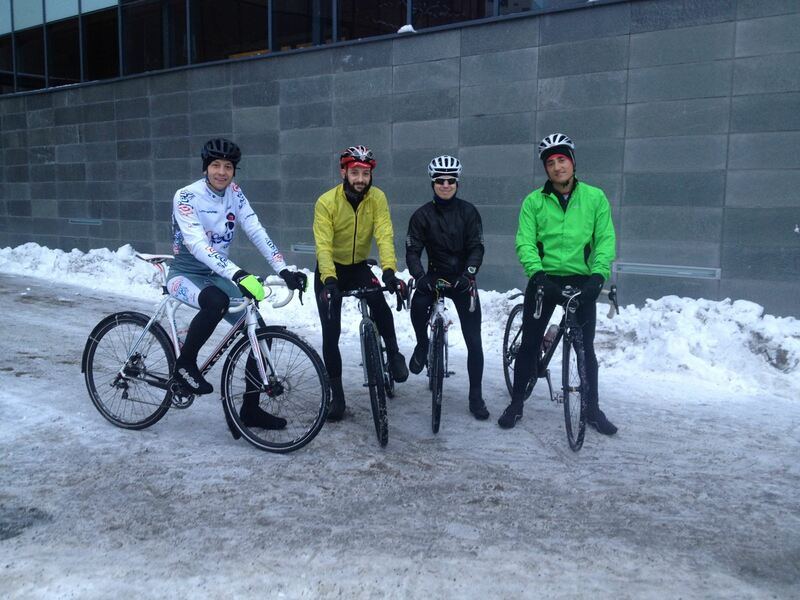 Last week they raced in Belgium. This weekend passed it started in USA with Trek CXCup and the EKZ CrossTour started in Switzerland. Felt sorry for Eva Lechner today. Hoped that she would win but instead she crashed on the first muddy corner after Nikkie Harris changed line. Her derailleur hanger broke so had to run far to the pits and change bike. Then she showed her form with setting the best laptimes, ended 31st 😦 Impressive to not give up! Lucie Chainel-Lefevre was in front in the beginning and sat the pace. After was the winning group chasing with riders like Sanne Cant, Marianne Vos, Katerina Nash, Nikki Harris and Pauline Ferrand-Prevot. Became a group in the front after a couple of laps but it was two riders who had a bit more power and technical skills than the others. One that at least I didn’t expect. Sanne Cant and Pauline Ferrand-Prevot showed the fight of the day and Cant showed that she really found the shape in the right moment. Usually she is at the top 5 when all favourites are together but never in front in the end. Today she was and showed a pure cyclocrossers skills. Behind there was a fight between Marianne Vos, Katerina Nash and Nikki Harris. Nash had to much pressure and pushed the limit a bit far on the last lap and crashed a couple of times. 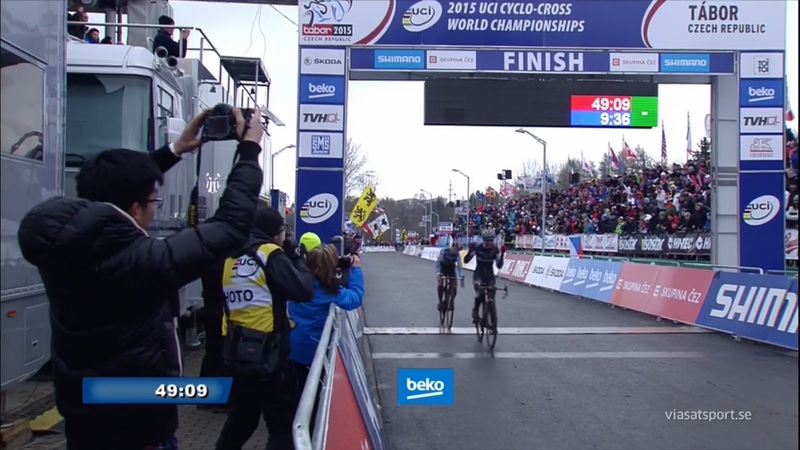 Marianne Vos raced like a legend does and ended 3rd. Would be odd to miss the podium on a World Championships. 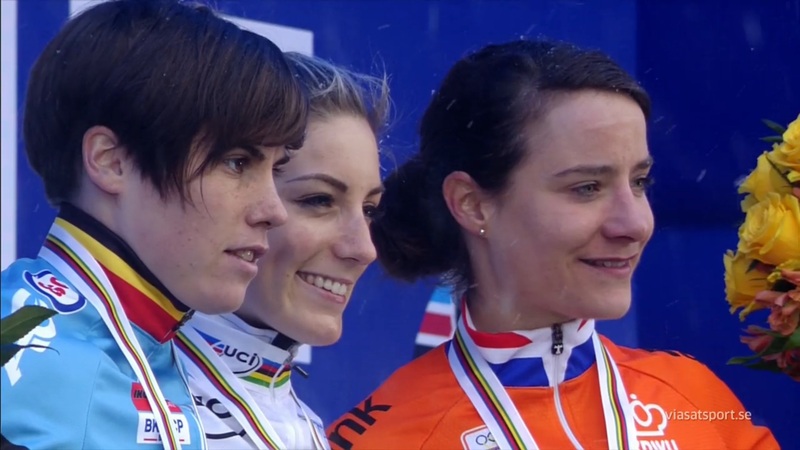 The three fastest CX women in the world! 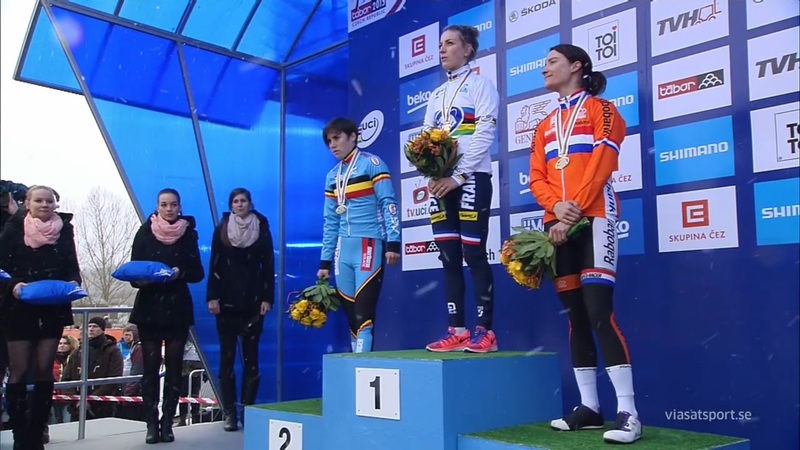 And did you notice Marianne Vos shoes? I was noticing her class with high white socks but she also got shoes I’ve never seen before. It looks like a pair of Specialized Stumpy II but on the outside it says LIV. That’s classy 😀 And what I’ve seen Marianne Vos is the women with highest class in cycling. After following women’s CX and XC racing it’s great to see development. Really happy about the results CX results in Hoogerheide today. 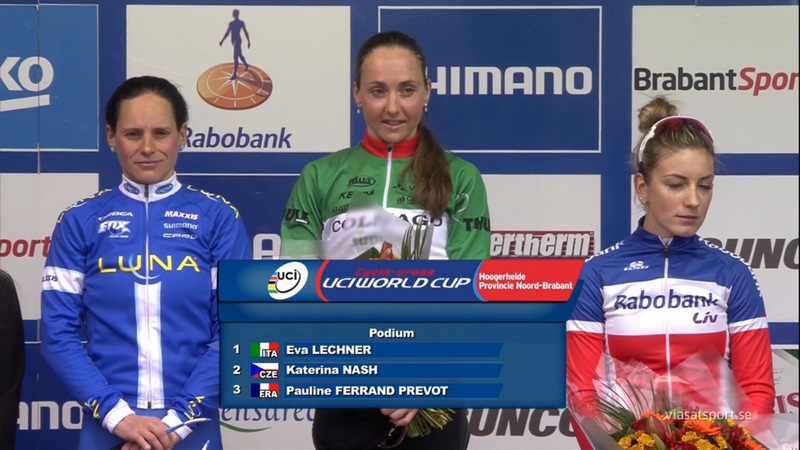 Eva Lechner has been the Italian champion for some years and done some CXraces, been top 5 in the end. But today she stepped up with her first World Cup win! 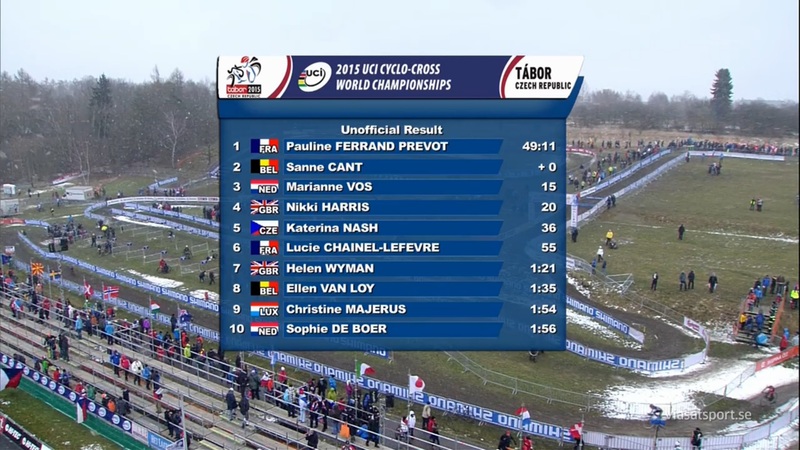 Sanne Cant also did a great performance today and ended 4th which helped her win this seasons World Cup.